Students learn the fundamentals of bringing a business to life and the highlights of the entrepreneurship program. “Everything we do in these classes speaks to career development,” says business management major Chris Bettinger ’15, referring to the entrepreneurship courses he has taken at Monmouth University. Already running his own DJ business while still an undergraduate, Bettinger, along with other like-minded students, recently collaborated with Professor John Buzza to bring several new products and services to market. Since 2008, Monmouth students have founded or supported more than a dozen start-up businesses from conception to launch while grasping the reality of what it takes to bring a company to life. 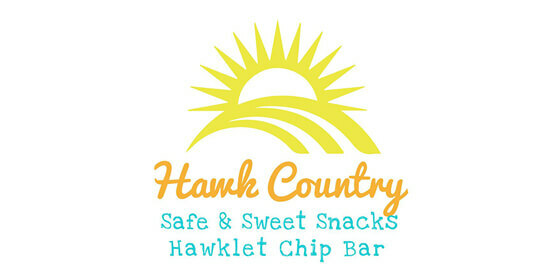 One example is the about-to-be-commercially launched Hawklet Chip bar, an “allergy-friendly” snack bar. Brittany Lamb ’16 was the creative spark and class CEO for the Hawk Country company and its Hawklet Chip bar. The class developed the snack bar to meet “allergy-friendly” standards, meaning it is free of the top eight allergens, which are wheat, soy, milk, eggs, tree nuts, peanuts, fish, and shellfish. Britanny and other students traveled to Virginia to visit an allergy-friendly bakery to research and develop the bar’s recipe, held a fundraiser to pay for the Hawklet bar allergy testing, and explored the market for the product’s commercial potential. Two other students from the class, Albert DeBennedetto ’14 and Andrew Nastashkin ’15 are now in the process of incorporating Hawk Country and will be the company’s legal owners. Albert said going through the stages of partnership with Andrew is a natural extension of what he learned in class. “I come from a family where my father owns his own electrical contracting company, and so there was always an interest in starting my own business. Going through the Hawk Country project with Professor Buzza confirmed that I am a true believer in the spirit of entrepreneurship,” he said. Other entrepreneurship projects include a gourmet pasta sauce voted number one in the tough-to-break New York tri-state area market, a perfume endorsed by celebrities, an exercise program that fights the dreaded “freshman fifteen,” and dog treats whose profits help support veterans. Many small business owners, including a local film school and a not-for-profit soup kitchen, have sought strategic advice and technical support from Monmouth students to help find their way to the marketplace and beyond. A number of the products and services that have begun as “class-owned” projects, like the Hawk Country snack bar, are now incorporated and are being further developed by students who are nurturing and growing these businesses to ongoing commercial success. 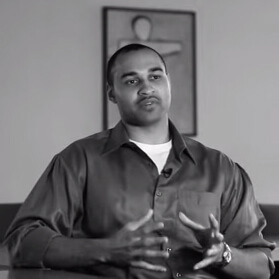 Mychal was hired to revitalize the retail store donation program at the FoodBank of Monmouth and Ocean County in 2013. In his first year, he more than doubled the quantity and increased the quality of the collections. He also serves as a mentor in the Junior Entrepreneurs Training program and is a co-founder of Konscious Youth Development & Service (KYDS), a nonprofit organization targeting the Neptune Township and Asbury Park communities. Named the “Most Innovative Entrepreneurship Education Course” in the country by the United States Association for Small Business & Entrepreneurship, Monmouth’s entrepreneurship students engage with the business world through a two-course curriculum that is both hands-on and real-world focused. Students spend one semester developing the product or service and the following semester managing and marketing the business as it finds its way in the world. As explained by Professor Buzza, a multi-talented business manager from the hospitality field who has developed the imaginative curriculum and teaches the courses, “entrepreneurship skills are universal.” He ensures that students received hands-on exposure to all aspects of business management from finance, to marketing, accounting, real estate, and more. “Professor Buzza was instrumental in helping me secure a small business loan as well as negotiating lease terms with our new studio space,” said Neal Bennett, president and founder of Industry Media Arts. “Through two semesters, my company worked in tandem with the entrepreneurship program and gave students real experience in the business world, particularly the world of film and video production management. 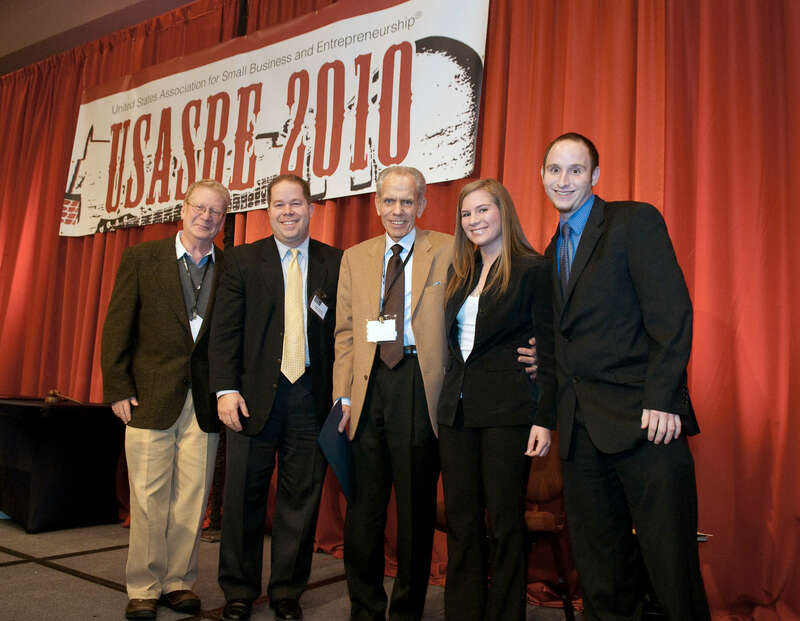 He was always striving for new and innovative ways to introduce authentic and real situations in the classroom that would provide unique learning opportunities, and he was a terrific mentor to me personally,” Bennett explained. Whether or not students of the program go on to become business owners themselves, Professor Buzza says today’s world of work is all about taking ownership. “Everyone now is managing their own brand, and in the corporate world, we are seeing an emerging trend for “intrapreneurship,” which is how an individual within a company setting can take ownership of their job. It is that kind of ownership mentality, whether it is as a small business owner or as part of a corporate team, that focused thinking has real agency and power to move the company, or the individual entrepreneur, forward,” Professor Buzza said. He believes that the “out-of-the-box thinking” that is such a vital part of making a business a success is important for students to learn in a hands-on way. 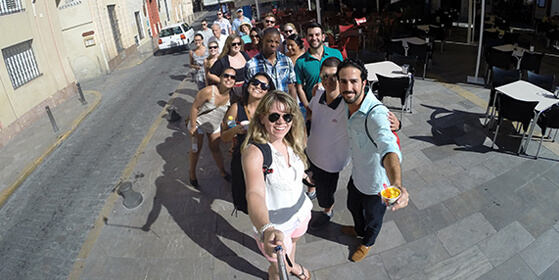 In order to give students as broad an entrepreneurship experience as possible, including global experience, Monmouth students are offered the opportunity to take a summer course that includes spending two weeks in Seville, Spain, as part of the syllabus. Sophomore Marasia Laster, a communication major who has minors in business and political science, was looking forward to her first trip abroad. Marasia has never traveled outside of the United States, and she said she is eager to interact with Spanish business owners as part of the class. According to Professor Buzza, this global experience is priceless. Students will spend their mornings visiting with business owners in and around Seville and the afternoons are spent in seminar-style discourse that analyzes what they observed that day. Professor John Buzza was awarded this national award by the U.S. Association for Small Businesses and Entrepreneurs for BM451 – Entrepreneurship, a class where students start their own business. Hawk Country launched the Hawklet Chip Bar, an all-natural, gluten-free granola bar that is free of the top eight allergens responsible for 90 percent of all food-related allergic reactions: wheat, eggs, milk, peanuts, soy, tree nuts, fish, and shellfish. More than 30 students worked on research, development, production, IT, sales, marketing and advertising, project management administration, and publicity. The Comparative Entrepreneurship class was one of three finalists for U.S. Association for Small Businesses and Entrepreneurs Special Recognition in Entrepreneurship Award. Students spend four weeks studying on campus and two weeks in Spain, staying with host families and meeting with small business owners from all over the country each day.